Snagit is a powerful screen capture and editing tool that allows you to capture, edit, and share anything on your screen. Step 1: Select the recording area. ✔ Open or set up what you want to capture. Click the Video Capture button. Entire Screen: Dragging the cursor to the top or side of the screen is usually the best way to highlight the entire screen. Window: Drag the cursor over the window. When an orange border appears around the window, click to capture. Region: Click and drag to select the desired area. Use the magnifier for pixel perfect accuracy. Step 2: Set up the audio for a recording. After selecting the area to record, the Video Recording toolbar appears under the selected area. You can select to record microphone audio or system audio with a video recording. Step 3: Click the Record button or press SHIFT+F9. The recording countdown starts. Webcams are best video recording tool for recording yourself, which allows for a very personal, informal style. A webcam is built-in with a lot of newer computers, although you can also purchase an external one for around $20. Step 1: Set up your webcam, you'll have a few different options for recording. Step 2: Use YouTube's webcam capture feature to record a video directly to YouTube. Step 3: Locate and select the Upload button near the top-right corner of any YouTube page, locate Webcam capture, and select Record. 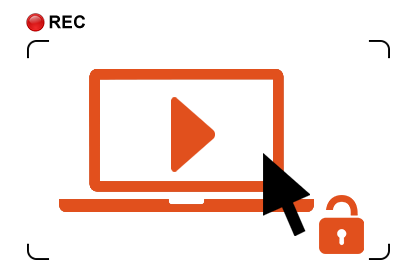 Any Video Converter Ultimate is an easy to use and powerful screen video recording program, with which you can easily capture streaming videos from Hulu, Metacafe, NetFlix, YouTube, Blockbuster, iTunes, Vimeo, MySpace, etc. It is also available to record anything on the screen including media player windows, protected iTunes rental video, rental DVD movies, online video web pages, rectangular/freehand regions, desktop activities even the full screen. Step 1 : Install and Launch Any Video Converter Ultimate. After the download is finished, run the avc-ultimate.exe file and follow the installation wizard instructions. 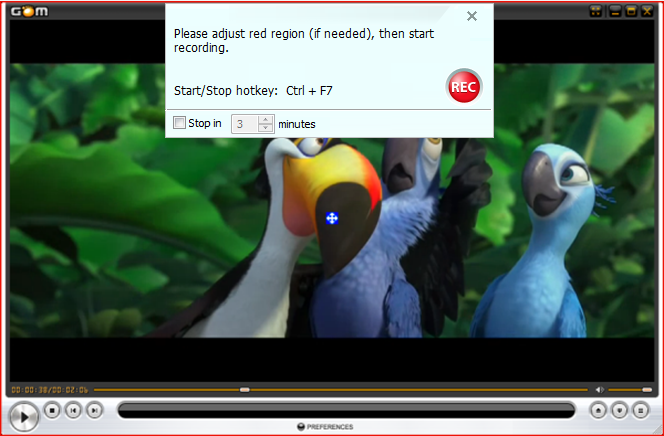 Step 2 : Click Video Record button to capture streaming video. Click the Video Record button to start record online videos from NetFlix, Hulu, Metacafe, Vimeo, iTunes or anything on your screen. Step 3 : Select the recording area. Play the video you want to record, the program can detect the recording area automatically and mark it with red rectangle. You can also click on select manually button for adjusting the wanted area to create your own video tutorial. Step 4 : Start to record. Click to start recording, or you can click the key "Ctrl" & "F7" to start or stop the recording. Note: once you have finished the recording task, the recorded video file will show on the main window of the program. Those three above-mentioned video recorders for Windows can help you capture streaming videos and record screen videos. Each of them has its own advantages and disadvantages, just choose the suitable video recording tool you desire.